Avocados are the firm favorite at this time. This superfood is loved by everyone ranging from fitness fanatics to food lovers. This Central American food is loaded with nutrients and good fats, which can be extremely beneficial for your bodily functions. Also, it is creamy and splendidly delicious. And, you know what is the best thing about the avocados is? It can be used in sandwiches, salads, and omelets. Plus, you can use it as a moisturizer for your hair. Already hooked? 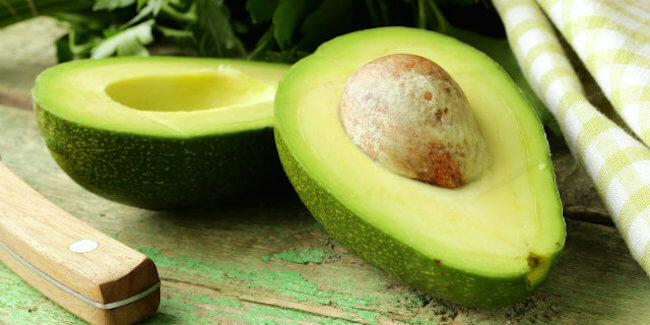 Wait until you read these ten amazing health benefits of avocado. Avocados are filled with omega-3 fatty acids and natural vitamin E, which are both great for your brain. For instance, the omega-3 fatty acids play a key role in optimizing many facets of brain functions, from depression, cognition, and memory to mental health. The recent studies have proved that omega-3’s possess antidepressant and neuroprotective properties. 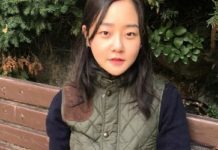 One important study has found that aging humans who consumed more omega-3s had increased gray matter brain volume and the newest tissue development was observed in the part of the brain that is associated with happiness. The brain is especially rich in lipids (fats and other fatty compounds), which makes them highly susceptible and vulnerable to oxidative damage from free radicals. Also, because the brain consumes a high amount of oxygen, it is highly vulnerable to oxidative damage. Therefore, the brain needs plenty of antioxidants to safeguard from oxidative damage. And, vitamin E is one of the best antioxidants around. It is exceedingly elemental in protecting cell membranes (which are fatty in composition) from oxidative damage caused by free radicals. 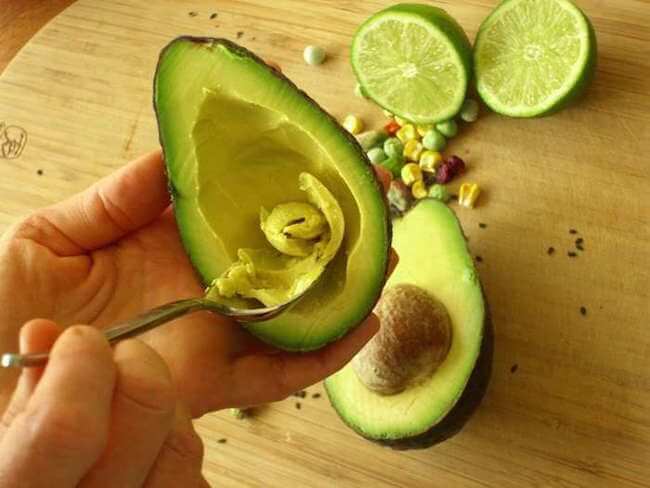 Avocado is loaded with fats that are good for you. A single cup of sliced avocado provides you with 32% of your daily fat recommendation. And, yes fat can be good for you. Not all fats are monsters that are responsible for the variety of health problems. 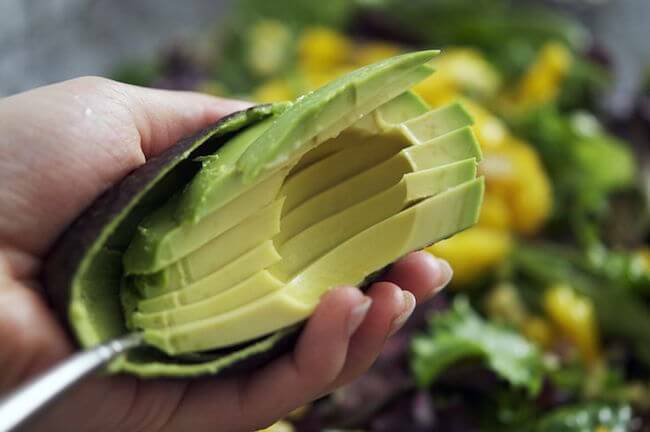 The monounsaturated fat that is found in abundance in avocado can help lower bad cholesterol and can lower the risks of stroke and heart disease. The study subjects ate these diets for five weeks. 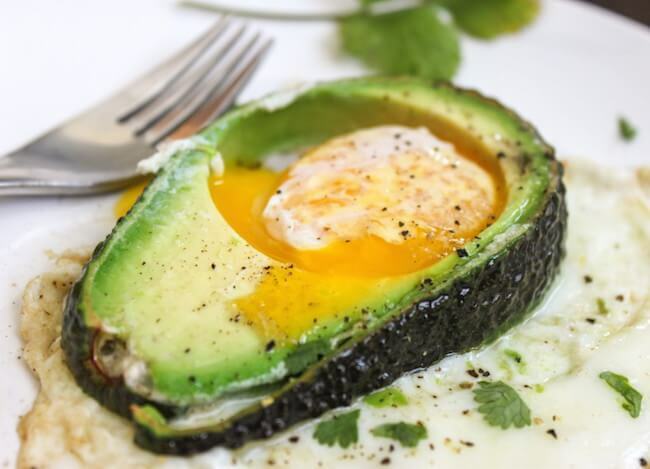 At the end of five-week period, it was found that people on a moderate-fat diet who ate an avocado every day had lower bad cholesterol levels than those on a similar diet without an avocado a day or those who were on a lower-fat diet. Several important vitamins such as vitamin A, K, D and E are fat soluble, which means they actually need fat in order to be absorbed into the body. The researchers at Iowa State University and Ohio State University conducted a study to validate this benefit. For the first part of the study, six males and five females ate 300 grams of tomato salsa. About half of the group was given salsa that contained 150 grams of avocado (about five tablespoons), and the others ate salsa without avocado. For the next phase of the study, the subjects ate a salad of carrots, spinach and lettuce. Again, half the group was given salad with 150 grams of avocado, and the other half without it. Blood samples were taken after every meal to analyze the change in the nutrient levels. It was found that the group which ate salsa with avocado absorbed nearly 4.5 times more lycopene than those who didn’t eat avocado. Also, the subjects who ate salad with avocado absorbed 8.3 times more alpha-carotene and 13.6 times more beta-carotene than those who didn’t eat avocado. 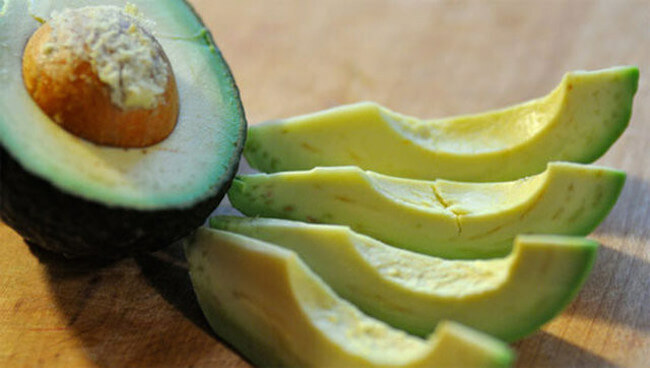 The fat content of the avocados can also be instrumental in dealing with symptoms of arthritis. One of the three types of fats present in avocados is polyhydroxylated fatty alcohols (PFAs). 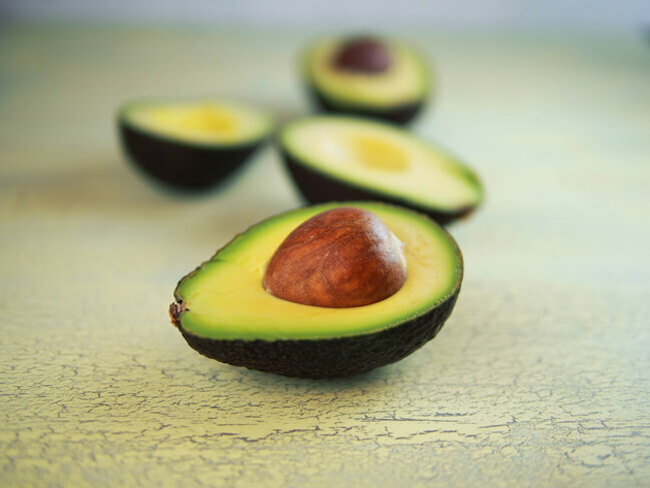 The PFAs are fatty alcohols that are usually found in ocean plants and very rarely in land plants, which makes avocados a unique food in its content. The PFAs have anti-inflammatory properties which helps in reducing the inflammation in joint pains. 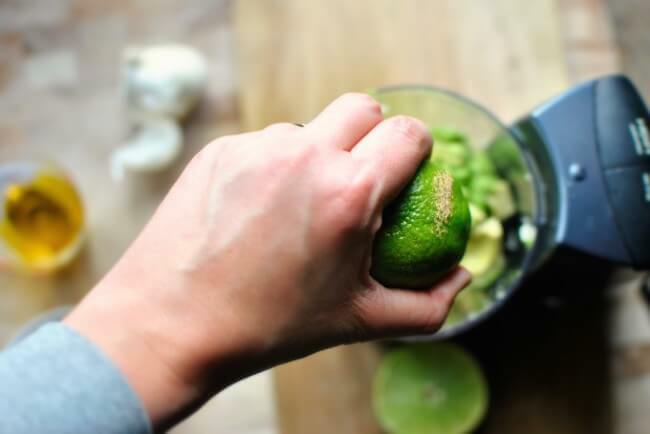 Also, avocado contains important antioxidants such as vitamin C and vitamin E that also help fight inflammation, which can in turn help to relieve the symptoms of arthritis. Avocado contains lutein and zeaxanthin, which are carotenoids that are essential to the overall health of your eyes. According to the American Optometric Association, lutein and zeaxanthin filter harmful high-energy blue wavelengths of light and act as antioxidants in the eye, which in turn helps in protecting and maintaining healthy cells. Also, lutein and zeaxanthin are deposited in high quantities in the retina (macula) of the eye. 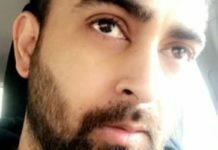 However, your body can’t synthesize the lutein and zeaxanthin it needs, which makes it important that you supplement it through your dietary intake. And, in that aspect avocado is the best option. An ounce of avocado contains 81 micrograms of lutein. Avocado have a high fiber content, with around 7% of its total weight made up by fiber. Also, one avocado contains around 27% of your fiber for the day. The fiber is an important component of any weight loss diet. Although the fiber doesn’t have any magical fat burning properties, it can assist in weight loss program by restricting your daily calorie intake. The fiber keeps you full for a longer period, which means you won’t get the urge to binge on unhealthy food items. Also, it has been proved by various studies that it can reduce blood sugar spikes, which usually have an adverse effect on your weight loss program. 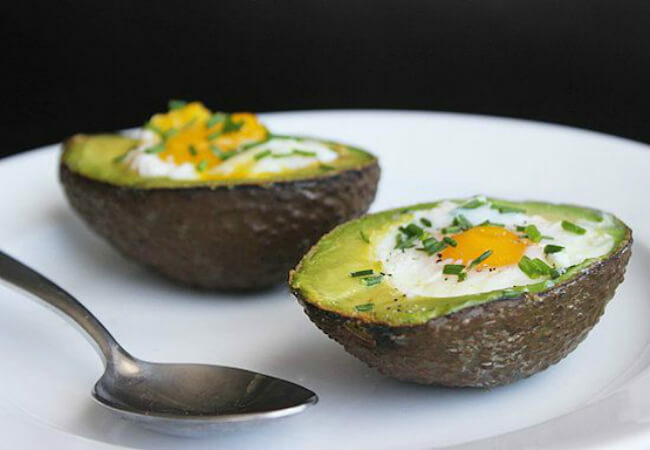 The avocados are best option for those who are looking to lose weight. It is a perfect fruit for those looking to keep a strict watch on the calories intake. Coupled with the presence of high fiber content, it also contains monounsaturated fatty acids. And, monounsaturated fatty acids are more likely to be stored as slow burning energy rather than as fat. This means you will feel sated for a long time after eating avocados. And, the fiber as usual will also do its part in keeping hunger at the bay for a longer period, which in turn will assist you in shedding unwanted kilos. Potassium is a very important body mineral and is crucial for both cellular and electrical functions. It is one of the main blood minerals called electrolyte (the others are sodium and chloride). As an electrolyte, potassium is vital to the healthy functioning of all of your body’s cells, tissues and organs. It also helps in controlling the amount of water in your body and maintains a healthy blood pH level. And, most of the Americans have potassium deficiency. According to the National Academies‘ Food and Nutrition Board, an adequate intake of potassium is 4.7 grams per day. However, an average American man consumes approximately 3 grams and the average woman less than 2.5 grams of potassium per day. The daily consumption of avocados can help in bringing potassium levels to the optimal point. In an avocado, you can find 14% of your recommended daily amount of potassium, which is much more than the 10% found in a banana. If during pregnancy, you are suffering from day long morning sickness and can’t find a way to eat anything without feeling nauseous, the avocados are a great, smell-free option to add good fats and tons of vitamins like vitamin E, vitamin K, vitamin C, vitamin B6 and B5, potassium, carotenoids, magnesium, folate, lutein, and dietary fiber. Folate is especially important for the mother and child. It plays a crucial role in the early development of your baby. The low folate levels early on are linked to neural tube disorders and spina bifida. And, just one cup of avocado contains nearly 25% of your recommended dose of folate. 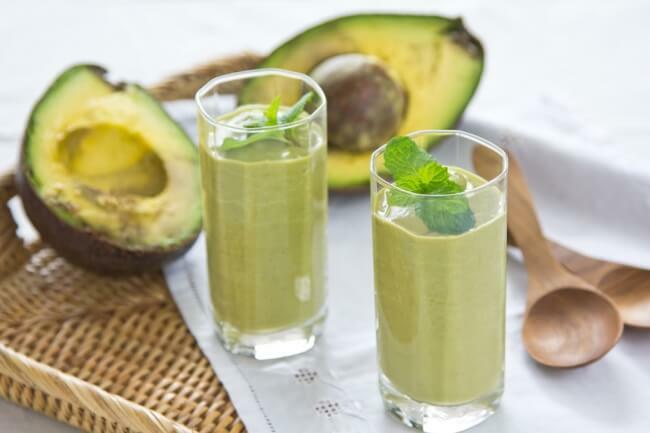 Even, some expecting mothers find that avocado can help prevent and cure nausea, and therefore, they eat them first thing in the morning to help prepare their bodies for the coming day. The scientific reason behind this phenomena is that the avocados have high vitamin B6 concentration. Avocado is probably one of the most nutrient dense foods. The typical nutrient dense foods provide vitamins, minerals, and other substances that may have positive health effects, with relatively few calories. Avocados offer nearly 20 vitamins and minerals in every serving including B vitamins, which help you fight off disease and infection. The avocados also give you vitamin C and E, plus natural plant chemicals that may help prevent cancer. 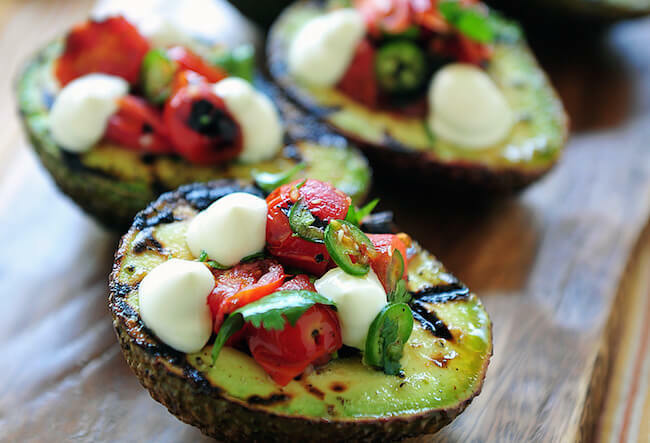 Plus, the avocados are filled with vitamin B6 which helps your body to fight off infection and disease.